2304 is a single-player game in which the objective is to slide tiles on a grid to combine them and create a tile with the number 2304. It is played on a simple 4×4 grid with tiles of varying colors overlaid that slide smoothly when a player moves them. 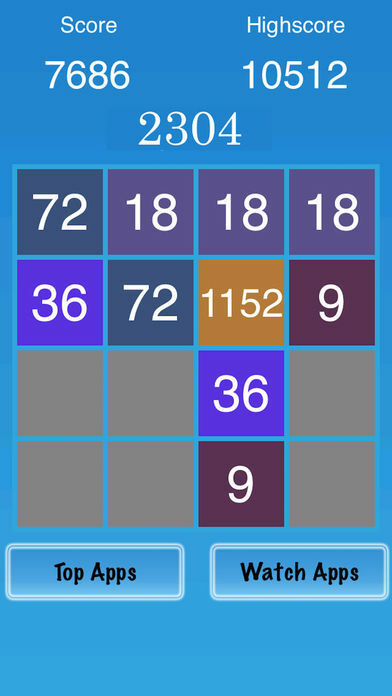 The game uses swipe to move tiles left, right, up, and down. If two tiles of the same number collide while moving, they will merge into a tile with the total value of the two tiles that collided. 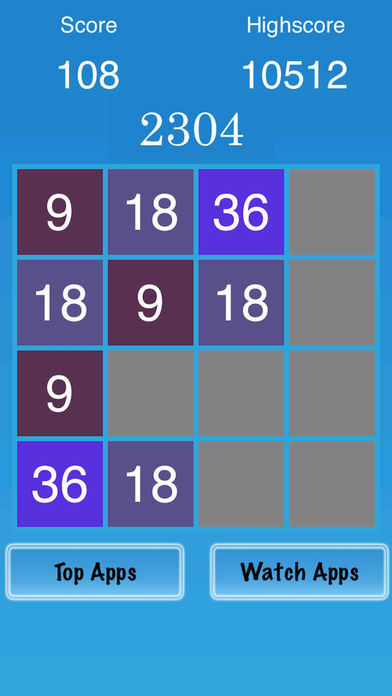 Every turn, a new tile will randomly appear in an empty spot on the board with a value of either 9 or 18. Additionally, a scoreboard on the upper-left keeps track of the user’s score. 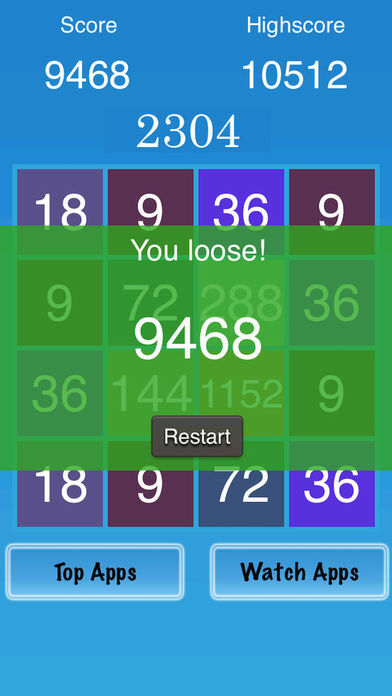 The user’s score starts at zero, and is incremented whenever two tiles combine, by the value of the new tile. As with many arcade games, the user’s high score is shown alongside the current score. 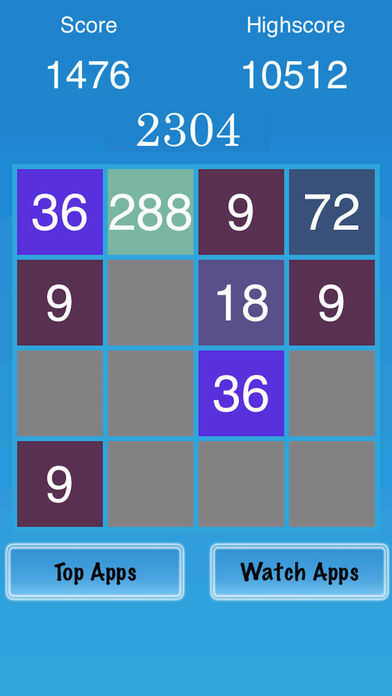 The game is won when a tile with a value of 2304 appears on the board, hence the name of the game. When the player has no legal moves (there are no empty spaces and no adjacent tiles with the same value), the game ends.